The unique sensodroid BT6000Y wireless scales have a reliable bluetooth 2.0 and RS232 communication interface. Max. The weighing capacity is 6000g and the division is 1g The weight is manufactured in industry standard, which ensures high accuracy and reliability in operation. The weight has a range of features such as TARA in full scale, UNIT weighing units (g, ct, ozt, oz, GN, dwt, lb), display backlight, automatic calibration and more. The ability to connect with bluetooth 2.0 to tablets, phones, computers and other devices featuring this technology. You can download this app for free at google play store Sensoscale Lite. 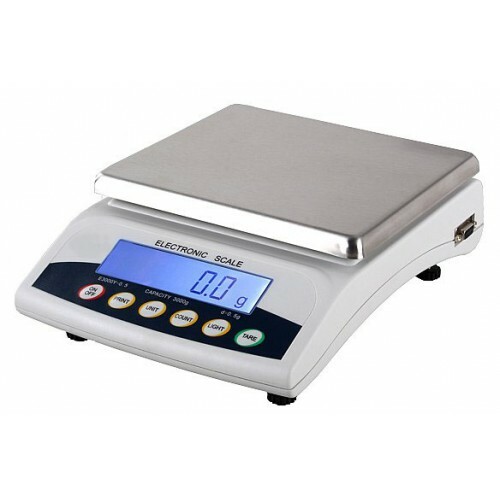 This bluetooth digital scales will be used in industry, offices, homes, schools, and in advertising and other industries. Very simple communication interface for creating other applications.